Louis Awerbuck was one of America’s premier firearms trainers and instructors. He firmly believed that training and tactics are the most crucial elements in determining how people respond in a real fight. This book brings together a decade of articles by Awerbuck in S.W.A.T. and Soldier of Fortune magazines on subjects ranging from creative target systems and firearms marksmanship under stress to defensive survival of a deadly-force encounter. But above all the book is intended to promote thought on surviving a fight in an increasingly deteriorating society. Tactical Reality is not for the person who looks for trouble where he could have avoided it. It is not for the man who shuns cover and takes an unnecessary bullet. It is not for the squeamish or anyone who isn’t prepared to fight to defend himself or his family. 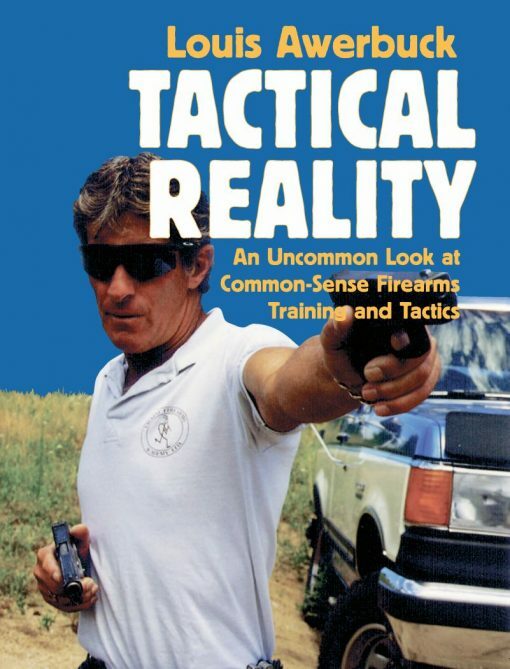 It is for everyone interested in finding out how to take a realistic approach to training so that, if need be, he can turn the tactical odds in a gunfight in his favor. This book proves that you are what you practice.